Japan Display – one of the leading LCD technology developers recently showcased a revolutionary 651ppi resolution display – double that of the highest resolution smartphones and tablets currently on the market. The race for the ultimate high resolution display seems to be heating up as Apple, Samsung and other manufacturers are pushing into the market higher and higher resolution display for mobile devices (as well as TVs and computer screens). Now, Japanese company (aptly named) Japan Display Inc. (aka JDI) announced the developed of the first LCD that features a resolution of 651ppi (with an RGB pixel pitch of 39μm). The prototype recently displayed on an expo in Boston had a minute size of only 2.3 inches but an astonishing resolution of 1,280 × 800 pixels (WXGA). Although this device is not very useful at its present size – a larger screen with the same density will outshine anything currently on the market by a factor of 2X. 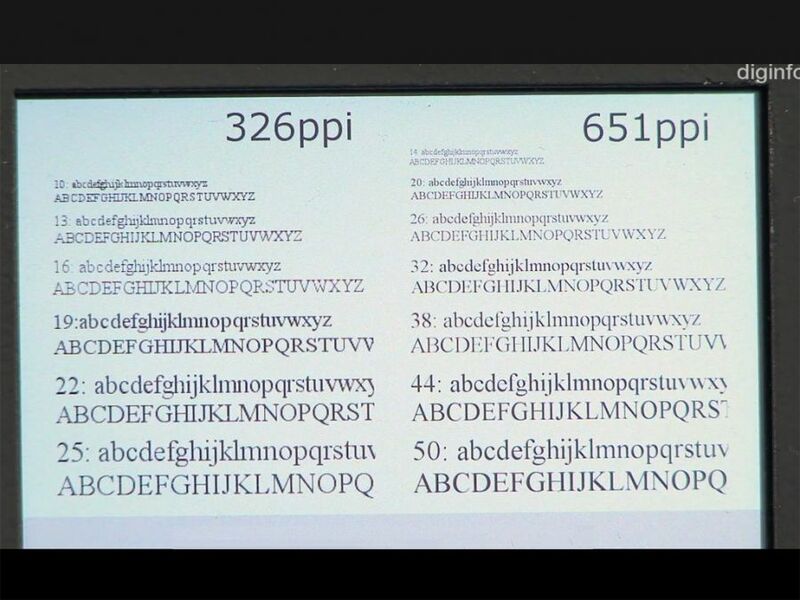 Although some scientists suggest that the limit of the human visual system peeks at about 300dpi, JDI says that it had conducted a study which confirmed that its ultra-high-definition display with 651ppi has utility an advantage when it comes to read text over the highest resolution displays currently on the market. There is no word on when we might be able to see the new JDI technology on the market but you can find more information on the JDI website.